Inspired by transfer of useful features, you can easily forget about the beauty of suspended ceilings, but it is only as long as familiarity with them in theory. In practice, the potential buyer is faced with the worst of the national consciousness of the problem - the problem of choice. To date, a company specializing in stretch ceilings offer a half hundreds of colors and textures of the canvas. The color palette ranges from white to black, textures. 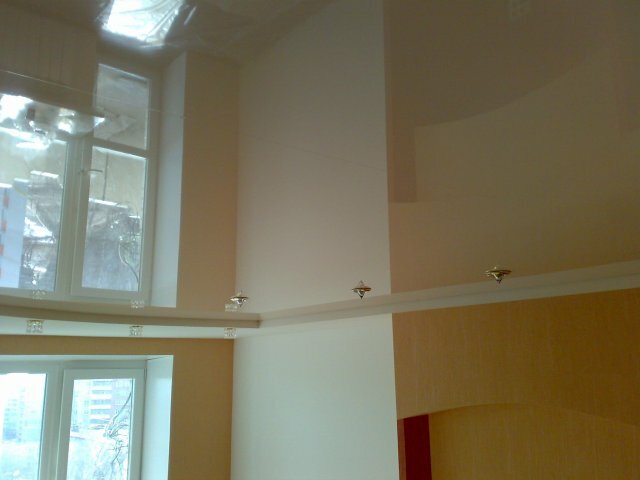 An alternative to traditional matte ceilings, act as a mirrorr eflecting the room glossy canvas. They visually enlarge the volume of the room, which is especially valuable for small rooms. There is also a large selection of suede ceilings, marble, leather, metal and other materials. The owners of cafes, restaurants, clubs and bars can opt for ceilings with Lycra or perforation. In this respect,the easiest way to those who set the ceiling at the same time furnishan entire room. Them have to choose the architect, to develop the project.